[Jeremy Blum] aimed to be the brightest student at his Master’s graduation ceremony this spring. He designed an LED rig for his mortar board which should battle the sun’s intensity by using up to 21 watts of power. But he didn’t stop with eye-catching intensity. while he was at it he also included some interactive features so the guy behind him has a way to keep from going blind. One thing that really caught our eye is the 3D printed parts he generated for the project. There’s a nice mounting plate for the LED side of things, and a wrist-mounted enclosure for the Raspberry Pi board. Wait, why does he need an RPi to drive some LEDs? We already mention interactivity which is facilitated by the Pi acting as a WiFi hotspot. Connect to the access point and choose a color. If you’re in the seat behind [Jeremy] you’ll want to choose black! All of this and is explained in his video presentation. [Drug123] made the most out of this inconspicuous gray box on the gable end of his father’s home. It serves up a 3G Internet connection that was otherwise unavailable.. The project idea was sparked by the absence of wired or fiber optic broadband in the community where his dad lives. He knew some neighbors were using 3G connections, but he couldn’t get it to work inside the house. So he set about developing an external installation that would both communicate with the cellular network, and provide a WiFi connect to it. Hardware for that is relatively expensive; a USB 3G modem and a WiFi router with a USB port. The box itself is made of plastic, but even without the Faraday cage effect that would have been formed by using a metal housing, the 3G modem’s internal antenna just doesn’t do the job. 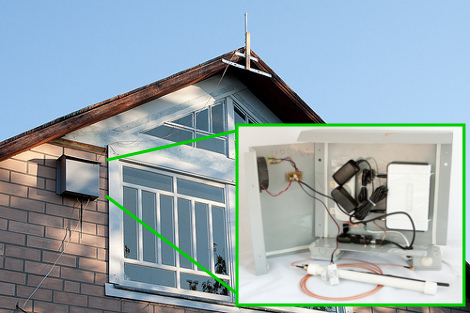 You can see that [Drug123’s] solution was an external antenna which is mounted at the peak of the roofline. Inside the box there’s an exhaust fan to cool things off when they get too hot, as well as some power resistors which provide a heat source on the coldest nights. The low-cost build certainly fits the bill, and it’s not too hard on the eyes either. For all those times you need to broadcast your own access point where there’s no outlet [Larry] shows us how to make a solar-powered hotspot. 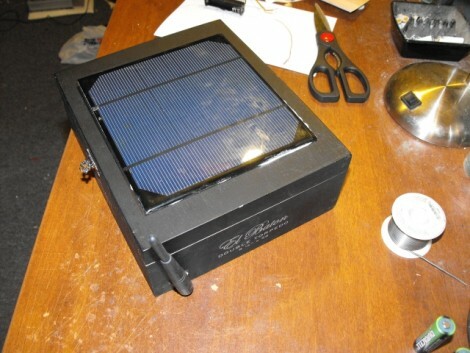 He started by slapping a solar panel on the lid of a cigar box and attaching it to five rechargeable AA batteries inside. These power the mainboard from a router which is the perfect size to friction fit in the opening. 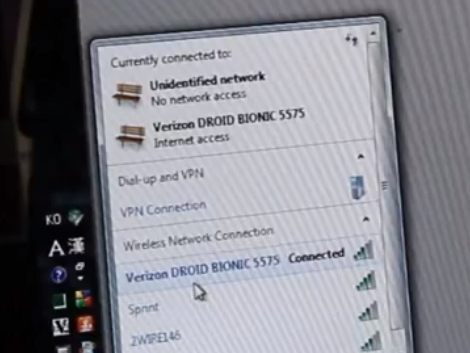 It has been flashed with a copy of DD-WRT, and set to scan for open WiFi connections. When it finds one it connects and rebroadcasts its own WiFi signal to the surrounding area. He leaves it in the back window of his car and uses it to get on the net during lunch.